It is with great sadness that we announce the loss of our founding attorney, Joshua Jocias Pitre, who passed away on May 4, 2016 after a long battle with cancer. Joshua was born in the community of Plaisance, Louisiana on June 27, 1940, to Ogden Pitre and Celina White-Pitre. He was the first of four children born of this marriage. At the tender age of 6, Joshua experienced the death of his father and quickly realized that the view of his life from that point on would be seen through the scope of a “big brother”, as opposed to the scope of a child. The experience nurtured his belief in the philosophy that it takes an entire village to raise a child. As such, he proudly considered himself a product of the entire Plaisance community. While at Plaisance High School, Joshua excelled in academics, athletics, and music. During the years of 1958-1959, Joshua was instrumental in leading the track team to two consecutive state championships, where he was a state champion hurdler and a member of the state champion mile relay team. In 1959, as a member of the Plaisance High School chorus, he was a state champion soloist. Still, his greatest reward in attending the historic Plaisance High School was the development of lifelong friendships that endured the test of time. Upon graduating, Joshua earned a track scholarship to Xavier University in New Orleans. When the track program at Xavier University was eliminated, Joshua decided to relocate to Baton Rouge to attend his beloved Southern University in 1960. In 1963, he received a Bachelor of Arts degree in Political Science graduating with honors. After graduating, he was immediately drafted to serve in the United States military. While in the military, he was stationed in Fort Hamilton, New York, before being deployed to Baden, Germany for two years. In 1967, Joshua began pursuing his dream of becoming an attorney by attending Southern University Law School. After graduating with honors, he began practicing law with his uncle, Attorney Marion Overton White, in Opelousas, Louisiana. 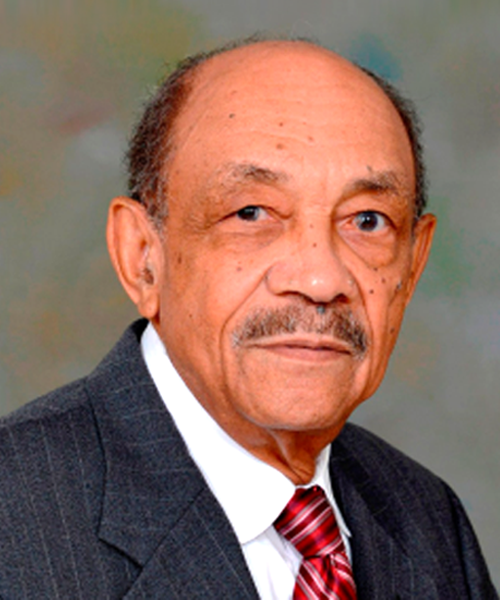 While working as an attorney, he became very involved in local organizations, including the NAACP, where he served as president, the JK Haynes Foundation, and the St. Landry Parish Credit Union, where he served as its attorney for many years. Joshua worked relentlessly to break down barriers for electing persons of color to the St. Landry Parish School Board, St. Landry Parish Police Jury, Opelousas City Council, State House of Representatives, State Senate, United States House of Representatives and District Courts across the state. During this struggle, Joshua became the first person of color elected to the St. Landry Parish School Board and eventually became the first person of color elected as President of the St. Landry Parish School Board. His lifelong fight was dedicated to achieving equality and parity in the political and criminal justice systems. His life and work embodied the values for which he stood and have impacted generations of citizens throughout the Opelousas community and the State of Louisiana. His strength in the face of social turmoil and racial unrest is well-remembered almost half a century later and will certainly never be forgotten.